To say I am a fan of Augmented Reality is an understatement! I feel it is a very powerful tool to enhance and transform learning in many ways, from inspiring writing to sharing and displaying children's work. We bought a world map wall sticker and framed a picture from every holiday we have been on since we met. Obviously it is a work in process and hopefully we will be able to add more to it over the years. Using Virtual Reality in the Classroom! I recently purchased a Google Cardboard Virtual Reality headset. Placing your smartphone into the headset and loading a compatible app, the lenses create an impressive and rich 3D environment. Most compatible apps are available on Android, as the concept for this headset was created by Google. 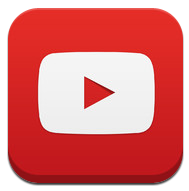 There are however a few iPhone apps and YouTube videos you can use on your iPhone. Possibly the best app for the headset on iPhone is - Dive City Coaster. And this is what we used in class today to inspire some writing. Today I was working with a Year 2 class and I asked them if they had every been to a theme park before? We then discussed what we find at a theme park. Once we identified Rollercoasters as a feature, I asked how many have been on. Of course no-one had, as they are too young. However I told them today they are virtually going to ride a rollercoaster. Dino Tales! Immerse children in a Dinosaur filled world! From the creators of the great app, Hakitzu, comes this new and impressive app - Dino Tales. This fantastic prehistoric environment will have children hooked as they navigate and explore this dino invested landscape. Filled with different challenges, children will love using this app as a stimulus for topic and literacy work and is sure to get them engaged and inspired with their learning! Watch the video below to see the app in action! I know many classes use Dinosaurs as a topic and this app would fit nicely as children will learn all about different dinosaurs while playing this impressive 3D game. What I love about this app is the clear links with literacy. Children building up questions to ask to find out more about Dinosaurs to then writing their own storybook, recounting the gameplay. The parent tools allow you to control how long the gameplay is meaning you can keep it to a short snappy task before using it as a stimulus for more writing. One of the best writing opportunities when looking at traditional fairytales is writing alternative stories from different points of view. Using the children's knowledge of the original story but trying a put a creative spin by looking at a different side. A great little video that provides a fine example of a traditional tale told from a different perspective. We discussed the video - the wolf's reasons, whether we believed him or not and whether if this was the true story would have been as interesting/memorable. To test the children's understanding, I asked them to interview the wolf using an app on the iPad. I can’t think of two more appropriate words to describe First Class Maths than curious and challenging. It’s been designed to truly stretch the most able primary mathematicians, and also to captivate the imagination of these young learners. I believe it fulfils the vision of mastery within mathematics, giving children the opportunity to apply learning in deep and non-standard contexts. Last week the children were learning all about the story - The Three Little Pigs! They listened to the story and using some talk for writing techniques were learning to retell it. To help with this, we used the iPads to turn the children into the characters from the story. Using the app 'Animal Face,' children took a picture of themselves and added features to transform them into one of the three little pigs or the big bad wolf.